Extracting a greener land out of mud and soil, Indian agriculture equipment industry has given a vibrant facet to the farms and fields of our country. Within this arena, used tractors have played a major role as most of our farmers prefer them over the new ones as they save them the hard earned money that can be further utilized in developing their land. The current scenario of our agriculture sector showcases the accommodation of mainly those farmers who do not have a great bank balance to support the purchase of a new tractor. That’s how used tractors have become quite prominent amongst the farmers. When we dig deep into the pre-owned tractors segment of our industry, the findings reveal various benefits associated with a purchase from that area. Let’s talk about them one by one. · The price of a used tractor is any day less in comparison to a new tractor. All the farmers, who cannot afford a brand new tractor, prefer used tractor to carry out their agricultural activities. · These days, a used tractor is easily available with no risk associated with them. Earlier, people used to feel a little reluctant while purchasing a used tractor because of the risk associated with them. But now, transparency and organization has overshadowed the risk involved. · Generally, people doubt the condition of a used tractor. But, most of the used tractors available are just one or two years old. And, this makes them a wise option to choose. 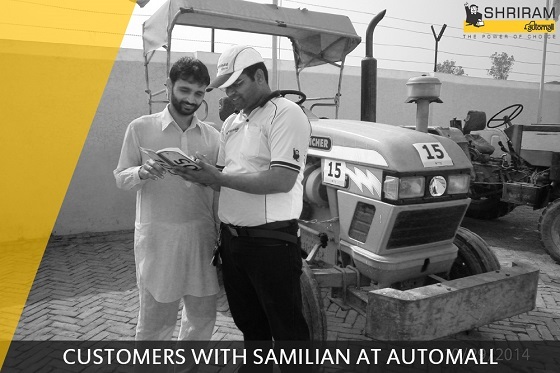 If you wish to acquire a used tractor, Shriram Automall India Limited (SAMIL) is a perfect destination for you. Being into the bidding business of pre-owned vehicles and equipment, the company serves a variety of options of used tractors of all kames & models in the most transparent manner. Automobile industry in India is consistently enhancing its dimensions with a boom in the pre-owned cars segment. 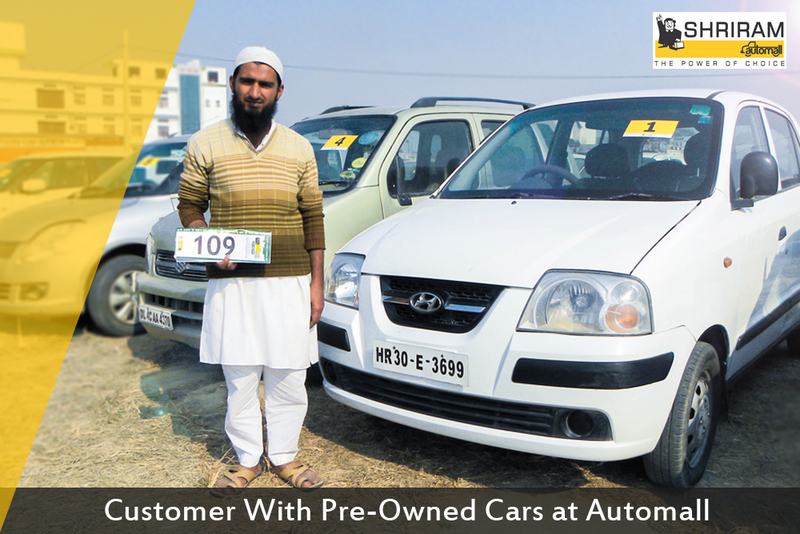 The last few months have showcased a tremendous growth in the sale of Pre-owned cars in India. While people shifted their preference from new cars towards used cars, India began to ride on luxury at an affordable price. If we take a look at the trade of used cars in India, the sector is built on a quite risky platform with an incorporation of unorganized players to a great extent. In order to strike best deals while purchasing a pre-owned car in India, follow the points given below. While purchasing a used car, make sure you pick the latest option out of the lot. There are various people who dispose their car immediately after few months or an year of purchase. In fact, many sell their car even before its warranty period expires. Do not hesitate and get lazy in carrying out an extensive research on your choice. Do look for any sort of complaint filed against the pre-owned car that you choose. This research can be carried out online as well. 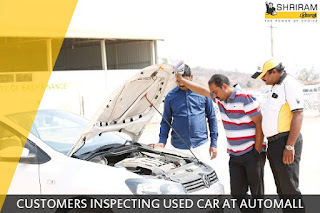 Once you are sorted with the research, do not forget to do the physical inspection of the used car. Do check out its condition both internal & external and under the hood along with its chassis in order to avoid expenses in future. Service records of a used car also play an important role in arriving at a wise decision. Always look out for a well-maintained service record which actually acts as proof for its better condition. If you are hunting for a pre-owned car in India, you can visit your nearest Shriram Automall, the company offers wide range os used cars at amazing prices with finance assistance. Shriram Automall India Limited (SAMIL) facilitates the trade of pre-owned vehicles and equipment through its transparent and well-organized bidding platforms. During the Monsoon Rajya Sabha session Union Minister Nitin Gadkari said the Government has allocated a total Gross Budgetary support of Rs 46,834 Cr including cess and toll remittance for 2016-17 for the Road, Transport and Highways Ministry. The minister also said that there is a proposal to spend around Rs 7 Lac Cr to develop National Highways of around 50,000 kilometers in the next 5 years. The total budget of Rs. 7 Lac Cr will be divided in a span of 5 years and money will be allocated to Road, Transport and Highways Ministry on project to project basis. This announcement has again confirmed the confidence of transport & construction business owners in the Central Government. The announcement first came during the presentation of Union Budget by the Finance Minister Mr. Arun Jaitley and since then we have seen a good demand for both old & new commercial vehicles & construction equipment in the country. Both transport business & construction equipment business owners are now rushing towards buying all new fleet of vehicles & equipment to gain a leading edge towards acquiring the tenders released by government. Meanwhile Shriram Automall, INDIA’S LARGEST PLATFORM FOR EXCHANGE OF USED VEHICLES & EQUIPMENT in an organized manner is also receiving good demand for used commercial vehicles & pre-owned construction equipment. Not everyone can afford a brand new passenger vehicle like car & SUV of his choice! Although, the market is flooded with various options in terms of brands but owning one of them requires quite a huge pocket. With the introduction of bidding as a platform for the trade of pre-owned passenger vehicles, now, acquiring a pre-owned car of your choice is not a big deal. Since, cars enjoy a fan following majorly from the youth of society, online bidding will serve a great purpose in this case as the youth spends long hours online. Before you participate in the bidding of pre-owned passenger vehicles, it is mandatory to consider certain points prior to making a final decision. Let’s take a look at them one by one. Once you evaluate the reason for purchasing a pre-passenger vehicle, it actually helps in deciding the right brand and model. The main reason of why people prefer a used car is the need for a good brand at low price. If that is your reason as well, then do check out a wide range of second hand cars online. This is the most crucial task of your purchase. Making the right decision involves a lot of criteria to be kept in mind. Make sure that your selection is based on your requirement and preference. When you actually participate in the bidding of pre-owned passenger vehicles, you generally come across a plethora of options. While exploring them, it is mandatory to do a comparison between them. It will help you in purchasing the most appropriate used car. 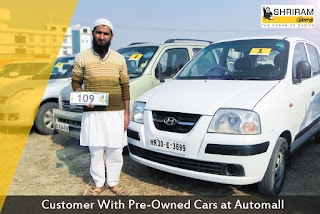 To purchase a pre-owned passenger vehicle online, you can visit http://bids.samil.in/ and participate in Shriram Automall India Limited’s (SAMIL) bidding events. With transparency at every level of operation, the Company serves various platforms to carry out the trade of pre-owned vehicles and equipment. Info-graphic on Connected cars & its trends brought to you by Shriram Automall India’s Leading Service Provider for Buying & Selling Used Vehicles & Equipment. If you are planning to expand your business then clearly your needs will also grow. You would definitely want to either upgrade your pre-owned commercial vehicle or dispose it at the best price in order to hunt for another option. If you wish to sell your pre-owned commercial vehicle then obviously you would want to explore the best ways. 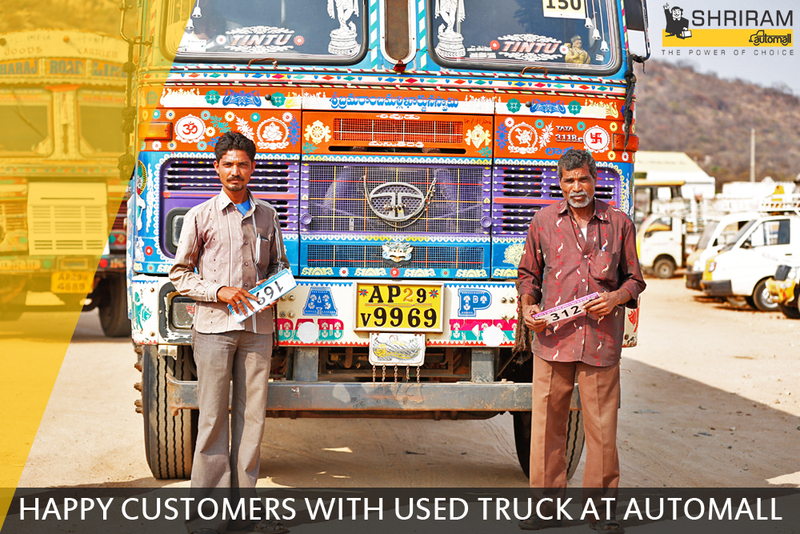 A well-planned disposal of used commercial vehicles is always fruitful with a better realization of money. Let’s take a glance at various ways of disposing a pre-owned commercial vehicle. If you are not in an urgent need to sell your pre-owned commercial vehicle, then you can do it yourself also. The easiest way to do that is stick a sign on your vehicle stating its availability for sale and then drive it to a crowded location or park it in a location which has maximum footfall or traffic. 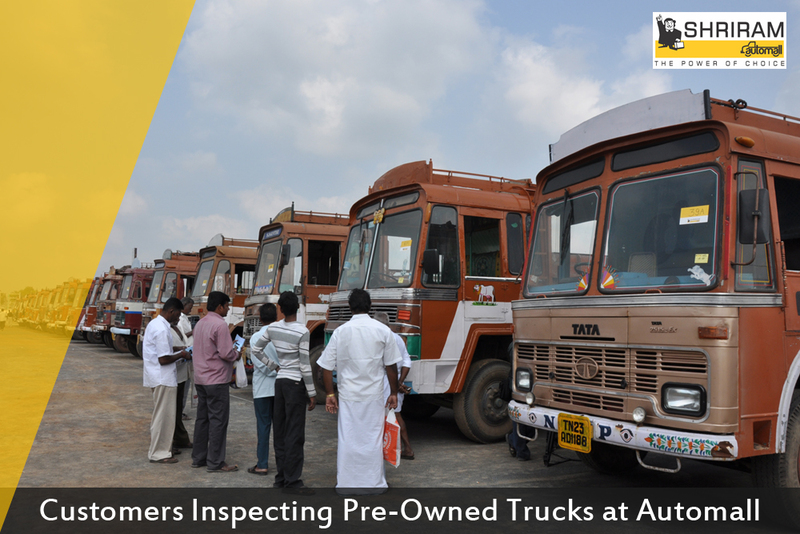 You can also dispose a pre-owned commercial vehicle on a consignment basis. In this way, you generally sign an agreement with the company under which it will take care of the entire selling process and will charge service fees in terms of some percentage out of the sale price. Being an easiest way of disposing a pre-owned commercial vehicle, many people prefer selling their vehicles through dealers. 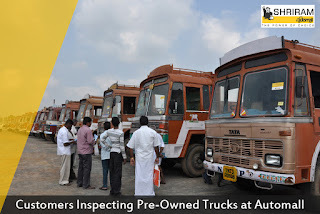 Once you take your commercial vehicle to a dealer, it will first undergo an inspection on the basis of which its value will be finalized and then offered to prospect buyers. Shriram Automall India Limited (SAMIL) serves various bidding platforms to facilitate the trade of pre-owned vehicles and equipment. 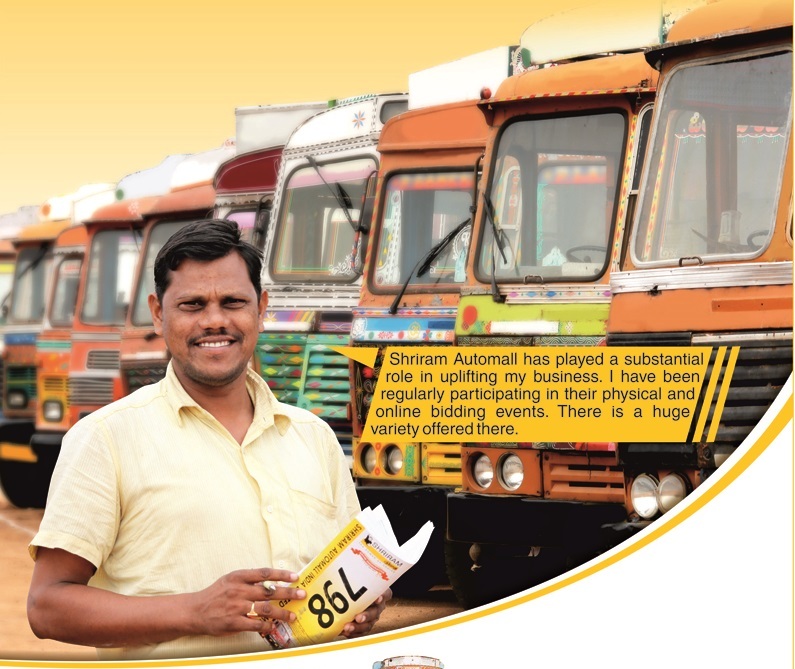 You can visit your nearest Automall facility in order to sell your pre-owned commercial vehicle at attractive price with utmost transparency and authenticity. Online bike bidding is regarded as the most convenient and innovative way for acquiring and disposing pre-owned bikes. It not only helps the sellers in realizing an apt amount for their bike but also serves the buyers a price which is just a fraction of a new bike’s market price. There are various companies in India that carry out online bidding for pre-owned bike on a regular basis with a huge variety of bikes for its customers. Initially, online bidding for was open for only dealers but now the scenario has changed. At present, online bike bidding is not restricted to the people who have a dealer license. All the bike lovers can now purchase their favorite used bike while sitting at home through online bike bidding. With so many options with respect to model, year of manufacture, colors and brands, any person can now participate in online bike bidding and win his/her choice in just a few clicks. Let’s take a look at the benefits of online bike bidding in detail. Huge VarietyWhen you decide to purchase a pre-owned bike through online bike bidding, you generally end up with an exposure to a wide range of bikes of various makes & models. This helps in making the most appropriate choice. Comfortable and ConvenientFor online bike bidding, you need not to visit anywhere. All you have to do is simply bid on your choice while sitting at home also. Best Price RealizationSince trade is carried out through bidding, a person always end up in the best realization for his/her bike in online bidding. 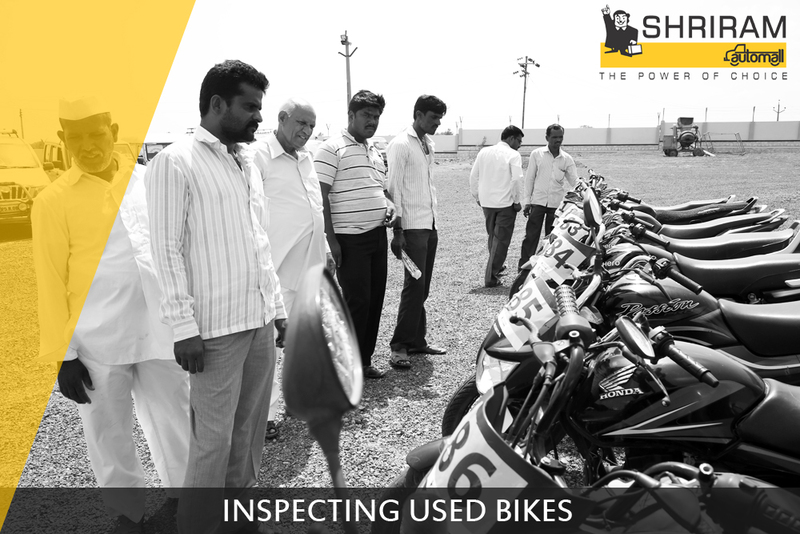 If you wish to experience online bike bidding to carry out trade in bikes, visit http://bids.samil.in/ and take a look at how Shriram Automall India Limited (SAMIL) facilitates the trade of used vehicles and equipment, including bikes, through its online bidding platform. 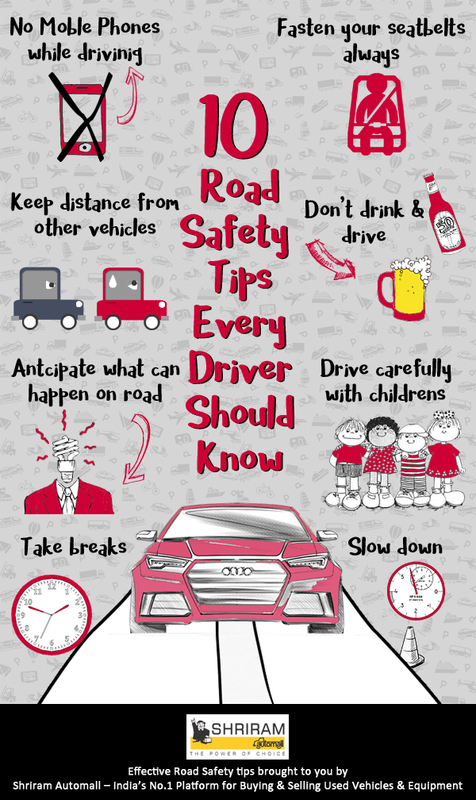 Effective Road Safety tips to make sure you & your loved ones are safe, brought to you by Shriram Automall – India’s No.1 Platform for Buying & Selling Used Vehicles & Equipment. The requirement of a used truck is observed mostly with business owners who are into contractual agreement or operators who are seeking an employment through trucking. Every day, various people hunt for used trucks either online or at dealerships. And their choices are mostly dependent on horse power, makes and models, transmissions and engine type and amenities. While concentrating majorly on these things, people forget about business plan. Basically they fail to identify its importance in making the right choice while buying a used truck. Let’s see how this thing can help in making a wise decision. While preparing a business pan, you always make note of the total number of miles you are going to dedicate to your used truck. This acts as a major point on the basis of which you can make a great decision. Depending on the maintenance cost that you calculate for your used truck which will automatically go into your business cost, you can any day make a better choice. Based on the monthly income, when you decide on your capability of expenditure, it helps you in determining the price range in which you are going to purchase the used truck. Your future plans play an important role in the success of your business. When you actually plan your upcoming 3 or 5 years, it gives you a brief idea about your requirements. If you think you are clear about your business plans now and wish to purchase a used truck, get in touch with Shriram Automall India Limited, the only company in India to serve well-structured bidding platforms for the trade of used vehicles and equipment. The company also offers the widest line up of used trucks at optimal price to choose from. Almost every commercial or industrial business makes use of trucks. 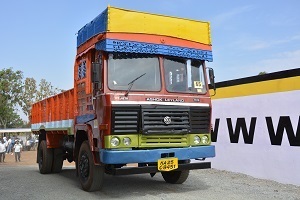 Generally, the start-up cost of such businesses contains a heavy investment in acquiring trucks, be it a new or used. Well, it’s true that the purchase of even a used truck is quite heavy on pocket. But, there are some market players like Shriram Automall who in association with Shriram Transport Finance Company doesn’t let you feel the burden on your pocket every time. Due to the presence of financial institutions across the nation, now everyone has a financial muscle for acquiring a pre-owned truck. The main reason for this is truck being valuable collateral, which ensures low risk for the lenders. Whenever you decide to buy a pre-owned commercial truck, make sure that you are clear about the type that you wish to purchase. And that means it is mandatory for you to dig into every detail, like condition, year, model, etc. With this, you actually take your first step towards finance application. Shriram Automall in association with Shriram Transport Finance Company offers various loans for pre-owned trucks with minimum documentation. Financing of pre-owned commercial vehicle which was a concern earlier has become a thing of past as now people are turning towards both SAMIL for buying used commercial vehicles & STFC for getting the same financed. Today the company has over 4.5 Lac transactions with finance assistance given for majority of sales. As the company attracted the interest of huge number of customers now we have some other finance houses for financing pre-owned commercial trucks, however the loyalty that customers show towards SAMIL & STFC is something that is cherished & enjoyed by one and all. Are you looking forward to buy a Pre-owned commercial vehicle for your business? Great! That means your business is growing. But in case you are doing it for the first time, then be cautious as it can be a little intimidating thing to do. Do not relate it with buying a car because the check list that goes into buying a pre-owned commercial vehicle is quite different. To make things easier for you, here are some dos and don’ts of buying a pre-owned commercial vehicle. Your decision for a purchase must be based on your usage of the vehicle. Depending on that you will decide the category of options available that you should explore. In case, you need it for transporting heavy goods, then a used mini truck will not serve the purpose. Fuel is one of the most important considerations that you should look for. In case, you are hunting for a bigger commercial vehicle, then remember that it will consume more fuel. If your business can afford that level of consumption then only go for this option. Otherwise, you will end up in a big tension in future. Today there are a number of commercial vehicles that comes equipped with modern diesel engine that consumes less fuel & offers great mileage. Never go unprepared while you visit a dealer to purchase a used commercial vehicle. It is mandatory for you to have all the technical knowledge so that you can make the most appropriate choice and not just get influenced by what the dealer says. Never say ‘Yes’ until you are not sure about the used commercial vehicle. Because that will result in future problems. That’s why, it is necessary to physically inspect the vehicle through a test drive. Also make sure you inspect the vehicle in proper day light to check every aspect of it. Now, after reading these dos and don’ts, if you wish to purchase a pre-owned commercial vehicle, then do get in touch with Shriram Automall India Limited (SAMIL). The company offers widest range of used commercial vehicles at optimal price through their Automall facilities across the nation. The benchmark set by the company while inaugurating the first Automall in Chennai on 26th Feb 2011 has now been realized as Shriram Automall inaugurates its 60th Automall in Dhanbad. Shriram Automall India Limited (SAMIL), India’s OneStop Destination for exchange of Pre-owned Vehicles & Equipment, today inaugurated its 60th Automall facility in Dhanbad (East India) on 21st July 2016. The company has achieved the benchmark figure of 60 well structured Automalls across the country in a span of just 5 years. The Automall is the 7th facility in the East Zone and is in line with the aggressive expansion plans of the company. Spread across a sprawling 2.5 acres of land, the Dhanbad Automall is located at one of the most prime locations on the Tundi road. India is a huge country in terms of population and it has built one of the longest road network in entire world, now with such big network there are strong chances of road accidents. Shriram Automall brings you the data on how these accidents happen, how they can be prevented and what is the government doing for road safety.